Black agate silver ring for women - Prestige at your fingertips. Have you ever dreamed of wearing a sumptuous piece of jewelry? The one that gives you particular confidence and confidence? Excellent news: the ring that embodies perfection exists! Because the jeweler Artémi has designed a real jewel just for you ladies. 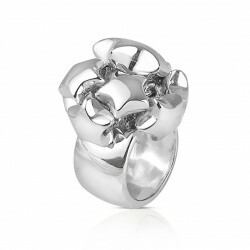 Symbol of style and elegance, the ring is, in fact, an essential jewel on a woman's fingers. Among other things, she subtly reveals her personality. It also flatters her beauty. 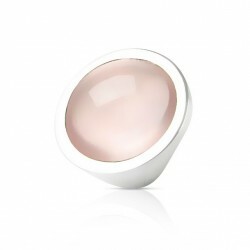 Also imbued with precious feelings, the valuable ring illuminates your daily life. Do you want to adorn yourself in the most prestigious way possible? 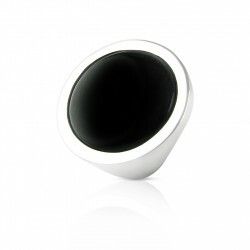 The brand art'emi offers you the black agate ring black silver woman. 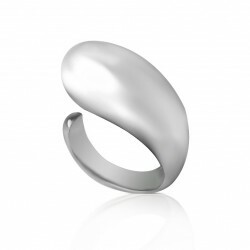 In other words, let yourself be captivated by this silver jewel adorned with volcanic stone. A marvel to be discovered without delay. Enhance your hands with the woman's black silver agate ring. Would you like to acquire a prestigious piece of jewelry? Fall in love with the black agate ring silver woman! It is indeed ideal to embellish your clothing. It is also suitable for both a meeting at work and in the event of an evening, with a more refined look. Enhance your personality while magnifying your hand. No doubt: the power of its stone ideally underlines your femininity. Let your romantic side shine through. The black silver agate ring woman of art'emi reveals, indeed, your mischievous side. If you are looking for the perfect gift, art'emi has the solution! The black agate ring silver woman is obviously perfect for a special occasion to celebrate. She is a resplendent symbol of affection. Decide to send a gift that reflects your feelings. A precious ring for an extraordinary woman. Choose a wonderful gift. Choose the sumptuous black agate ring silver woman of art' emi to display an elegant and bright style. Once again, pleasure is at hand with art'emi. Let yourself be charmed by the sensuality of the woman's black agate silver ring. 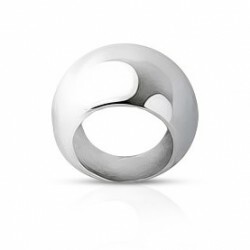 Offer yourself quality with art'emi rings. It is undeniable that the materials are delicately chosen by the designer. All the jewelry is therefore of impeccable quality. Take, for example, the black agate silver ring for women. 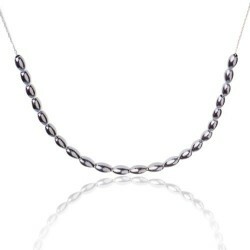 Made from 925 solid silver, it is very resistant. It is also made of black agate. This volcanic stone is opaque and solid. Let yourself be intoxicated by this majestic jewel. 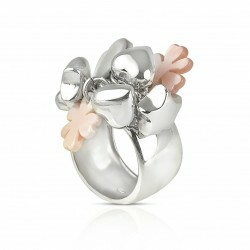 Are you looking for a ring that suits your personality? Thanks to art'emi, you have found it! Take the black agate ring black silver woman. It is ideal in all circumstances. Its intense radiance accompanies you daily. 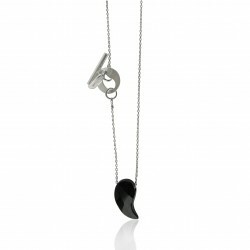 Do you want to discover our range of women's jewelry? Do not hesitate to discover also the silver necklace black agate drop faceted black agate, or this necklace pearls rice grains.